We would love to welcome you to our group of Virtual Assistants. Please let us know about your skills, yourself and your family. We promote VAs who are Work At Home Moms (WAHMs), whether you are wanting to get a little extra income, prepare for returning to a full time job, or are looking for alternative work options, let us know below and we will be in touch with you shortly. General AdministrationTypingTranscribingSocial Media managementData CapturingTelesalesBookkeepingWordpress Website workIn person assistance. Please select the options that you have experience in. Tell Us a little about yourself and your family. What do you value about being able to work from home? How did you hear about WAHM WorkSpace? 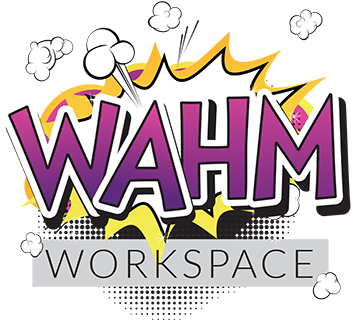 WAHM WorkSpace - Empowering women to work better! Through virtual assistance, networking and training. Let us do the things that cause you pain, so you can work in your sphere of genius unhindered! © 2019 WAHM WorkSpace. All Rights Reserved.